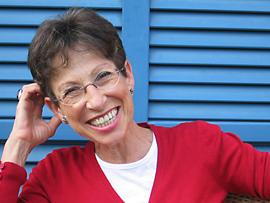 Ruth Wodak is Distinguished Professor of Discourse Studies at Lancaster University, UK. Besides various other prizes, she was awarded the Wittgenstein Prize for Elite Researchers in 1996 and an Honorary Doctorate from University Örebro in 2010. Research interests focus on discourse studies; language and/in politics; and prejudice and discrimination. Recent book publications include The discourse of politics in action: ‘Politics as Usual’ (Palgrave, 2011); The Discursive Construction of History. Remembering the German Wehrmacht’s War of Annihilation (with H. Heer, W. Manoschek, A. Pollak, 2008); The Politics of Exclusion. Debating Migration in Austria (with M. Krzyżanowski, 2009); and Rightwing Populism in Europe: Politics and Discourse (with M. KhosraviNik, B. Mral, 2013). John E Richardson is a Senior Lecturer in the Department of Social Sciences, Loughborough University. His research interests include structured social inequalities, British fascism, racism in journalism, critical discourse studies and argumentation. His work has been translated into Chinese, Japanese, French and Portuguese. His recent books include Analysing Media Discourse (co-edited with Joseph Burridge, 2011), Language and Journalism (2010) and Analysing Newspapers: An Approach from Critical Discourse Analysis (2007). Dr Richardson is currently writing a book, contextualising and analysing the multimedia discourses of British fascism (Ibidem Verlag). Finally, he is Editor of the international journal Critical Discourse Studies. 1. What are the main themes of the book? Fascist discourse is inherently duplicitous, but this duplicity is something that is rarely examined or demonstrated in any detail. Fascist parties intent on achieving power through electoral politics have always maintained two faces, a private one and a public one, drawing on an ‘esoteric’ appeal to ‘intellectual’ insiders and a simplified (and misrepresentative) ‘exoteric’ appeal to the mass membership and the electorate. Since WWII, political ‘rebranding’ has taken place across Europe, wherein parties with fascist political predecessors – including the Austrian FPÖ and BZÖ, the French FN, the German REP and NPD, the Portuguese CDS/PP and PNR, the Spanish PP, the British BNP and several others – both orientate towards, and simultaneously deny, any continuity with arguments and policies of previous movements. The result is an intriguing, and often contradictory, complex mix of implicit indexing of fascist ideological commitments. 2. What are the central questions of the book? Broadly speaking, our book is interested in exploring how the discursive construction of national and transnational European identities draws on collective and individual memories, on hegemonic and common sense narratives, and on myths which are proposed as constitutive for political identification. More specifically, we are interested in how the traumatic histories of European fascism are euphemised, denied or ‘swept under the carpet’ in the discourses of modern far- and extreme-right wing European parties. How do fascist ideologies re-emerge in discourse? Is there a continuity and how does this become apparent in communication, orally, visually and in written language? Are these manifestations context-dependent and in which ways? And what functions does such discourse fulfil in contemporary politics? 3. How have you sought to answer these questions? Each chapter is written by a recognised international expert on political discourse in their chosen European country using analytic and methodological tools developed in political, linguistic and discourse analysis. The chapters in the book analyse a range of salient oral, written and visual genres – including speeches, newspapers, TV-interviews, magazines, posters, websites, party logos and textbooks – from across Europe. Specific linguistic features investigated across the book included nominal and argumentative strategies, conceptual metaphors, implicatures, insinuations, and presuppositions, the coded languages of racism, xenophobia, and antisemitism as well as the related indirect pragmatic devices used to discriminate against certain marginalised social groups. 4. What are the main findings of your book? We demonstrate an important assumption, common to various approaches to Critical Discourse Analysis, that processes of social change are in part processes of change in discourse. Discourses of contemporary fascisms frequently act as a form of anti-memory, revising, reformulating, reclassifying and on occasion openly denying the trauma and violence that arises inexorably from fascist ideological commitments. This is particularly the case with antisemitism and Holocaust denial, which featured in the discourse of contemporary European groups to a surprising degree. 5. What does the book contribute to existing literature in the field? This is the first book-length volume offering systematic and detailed discourse analysis of the text and talk of fascist and far-right political parties from across Europe. Although European fascisms have been written about, in many aspects, from the perspective of History and Political Science, such studies do not analyse discourses of fascism in any real depth, preferring instead to describe, summarise and narrate the activities of parties and movements. The book, as a whole, shows a significant intellectual and analytic coherence, with each chapter analysing political text/talk in relation to continuity and change in fascist discourse since WWII. 6. How does the book relate to your own (personal/professional) background? Both the editors are committed anti-fascists and have a history of personal involvement in anti-fascist and anti-racist campaign organisations. Though clearly intended for an academic audience, we view the book as part of our struggle against European fascisms and the attempts of fascists to appear a reasonable and legitimate political movement. 7. What further research into the book’s themes would you suggest? The high prominence of antisemitism in the discourse of parties and movements across Europe surprised and concerned us. Though it is axiomatic that antisemitism is neither necessary nor sufficient for fascism, we should ask: what does it mean to be a fascist in a post-Shoah world? Knowing the histories of European fascisms, and specifically that the Third Reich led inexorably to Auschwitz, suggests that any fascist ideologue must now orientate to the Holocaust – either agreeing with its antisemitism and/or denying it took place. The tensions between this seeming commonality of contemporary fascisms and the specific – and indeed diverse – responses in various parts of Europe to the traumas of fascism, deserve greater attention. Moreover, differences between Eastern, Western, Northern and Southern European countries have not been investigated sufficiently although these lead to a range of significantly different forms of justificatory rhetoric, racism and antisemitism.